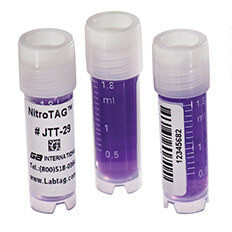 NitroTAG™ labels are made of a strong thermoplastic film coated with an extra-permanent cryo adhesive (CryoMax). This novel design enables them to be immersed in liquid nitrogen without the need for any curing time, additional tape or wrap-around laminate. 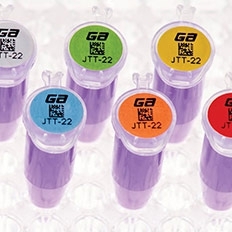 These cryogenic labels are ideally suited for storage in liquid and vapour phase liquid nitrogen (-196ºC), liquid helium (-269ºC) and laboratory freezers (-120ºC, -80ºC, -20ºC). 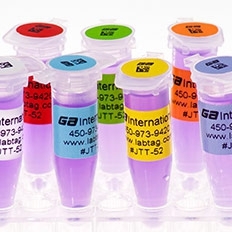 The labels are perfect for small diameter cryotubes & cryovials, microtubes (Eppendorf), polypropylene cryo/freezer boxes, cardboard freezer boxes, cell culture plates, plastic bags as well as other cryogenic containers. 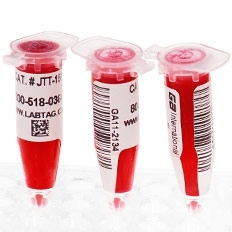 NitroTAG™ cryo labels are waterproof, weatherproof and durable, adhere to wet and damp surfaces, abrasion resistant, and withstand a range of extreme temperatures including multiple freeze-thaw cycles, dry-ice transport, and sterilization by Gamma irradiation (tested up to 50 KGy). Furthermore, their ability to withstand such a large range of temperatures and conditions, along with their resistance to grease and oil, makes them suitable for outdoor applications such as labelling plants, flowers, gas and oil production equipment, and much more. 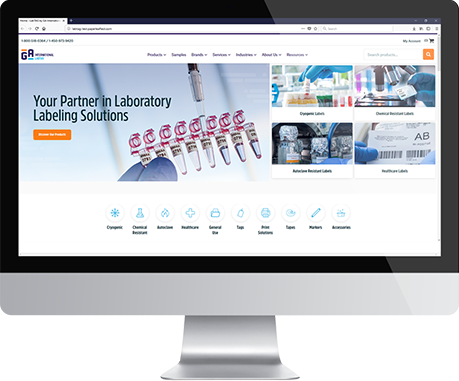 These laboratory labels are also able to resist spraying with several chemicals, often used to disinfect various containers, including ethanol, isopropanol and other alcohols (further testing recommended), bleach and DMSO. NitroTAG™ labels printed with our RR-class resin ribbons provide printouts with further resistance to alcohol and mild solvents. NitroTAG™ cryo barcode labels are supplied in roll format, on 1” and 3” cores, and are printable with all major commercially available thermal-transfer barcode printers (CAB, CognitiveTPG, Zebra, Datamax O’Neil, Sato, Printronix, Intermec and more).